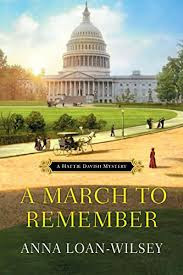 A March to Remember is the 5th Hattie Davish historical mystery by Anna Loan-Wilsey, and it is wonderfully predictable. Predictable may sound a lot like boring, but the Hattie Davish mysteries are anything but that. No, predictable here refers to the fascinating history and characters each of these mysteries contains. Anna Loan-Wilsey does her research and it shows. What is especially appealing to me is the predictability of those amazing back stories of history, an education of the lesser publicized events in a story that captivates. Hattie Davish, the traveling secretary in this series, herself is a study into women’s roles that didn’t necessarily follow the norm in the 1890s. 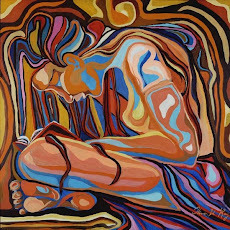 Hattie has opportunity to use her intelligence and ingenuity like few women did in that era. In A March to Remember, Hattie travels to Washington, D.C. in March/April of 1894 with Sir Arthur Windom-Greene, her principal employer and mentor, so that Sir Arthur can do research on another of his books. Well, it is usually Hattie doing the research, or copying documents from the files of historical papers, so that her employer can peruse the information at his leisure. Hattie is at her best, ferreting out this information. The timing of their visit coincides with the arrival of Coxley’s Army, a large group of unemployed men from around the country who have marched from Ohio and other points to represent the grievances of thousands of the unemployed who face starvation for themselves and their families after the bleak economy of 1893. The plan is to speak at the Capitol, as a protest to the deplorable conditions and in support of a new roads bill that could employ a major part of those currently destitute and desperate. Of course, Hattie becomes involved. She and Sir Arthur are staying with Senator Merriweather Lewis Smith and his wife Mildred, and the senator is against the roads bill. Hattie’s involvement with the Coxley camp begins when she witnesses a carriage accident in which a young woman, who is employed at a house of prostitution, drowns after being thrown into a pond. Her gentleman friend who was with her in the carriage flees the scene without trying to rescue the young woman and before he can be identified. Two of Coxley’s men come upon the scene and one attempts to rescue the young woman to no avail. Thus, Hattie’s first encounter with two of the men seeking a voice in the nation’s capital for their cause. With Hattie’s detective skilled mind, she uncovers missing buttons from the vest of the man who fled, and the mystery solving begins. Dr. Walter Grice, who is in love with Hattie and she him, also arrives in Washington to visit his sister, another senator’s wife, and to spend time with Hattie. There is much for Hattie to see and do with and without Walter, as she meets President Cleveland’s wife, goes to a senate meeting, and explores the darker side of the city’s offerings. Curiosity is a large part of Hattie’s character, and it is little surprise that she had actually seen the accident victim a day before at a house near Union Station, where she was to meet Walter. Politics is never simple and always at the forefront of what goes on in Washington City. Hattie discovers connections between Coxley’s men, senators, prostitutes, and the society of the senators’ wives. The day of the May Day march by Coxley’s Army brings large media coverage (L. Frank Baum covered it and it figures into his book The Wonderful Wizard of Oz—something I discovered in further reading about the event), as it is the first march on Washington, but it also brings fierce resistance from the government and law enforcement. The attempt by Coxley to speak on the Capitol grounds is thwarted by police, who arrest Coxley for trespassing on the grass and who also wield an unrestrained show of force. 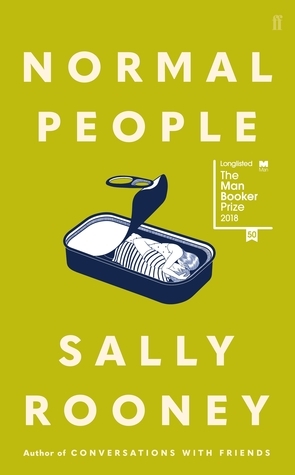 There is another unexplained death, a murder of one of Coxley’s men, when the smoke clears and another puzzling piece for Hattie to try to solve. Who is behind all the mysterious deaths and events? Signs point to those in the high levels of government and to those from the Coxley camp. It is a quagmire of confusion that only our resourceful Hattie will be able to discern. Anna Loan-Wisley has such talent for presenting actual historical events surrounded by mystery and story that envelop the reader in a learning experience without realizing how very much you do learn. Her descriptions of the Washington, D.C. in 1894 are exceptional, even the fascinating ride on the elevator of the Washington Monument. The White House is also part of the setting that is so thrilling to picture at that point in time. The characters are so well drawn out that you become invested in the minor as well as the major players. The author’s words give life to the people and the place, so that the reader easily become ensconced into the world at hand. Learning that this book might be the last in the Hattie Davish series is quite a blow. Anna Loan-Wilsey has such a gift for writing historical mystery that is seems a mistake must have been made. My hope is that events occur to make the continuation of this series possible. Of course, I look forward to any future books from Anna. I was given a copy of A March to Remember by the author, but it in no way influenced my opinion.